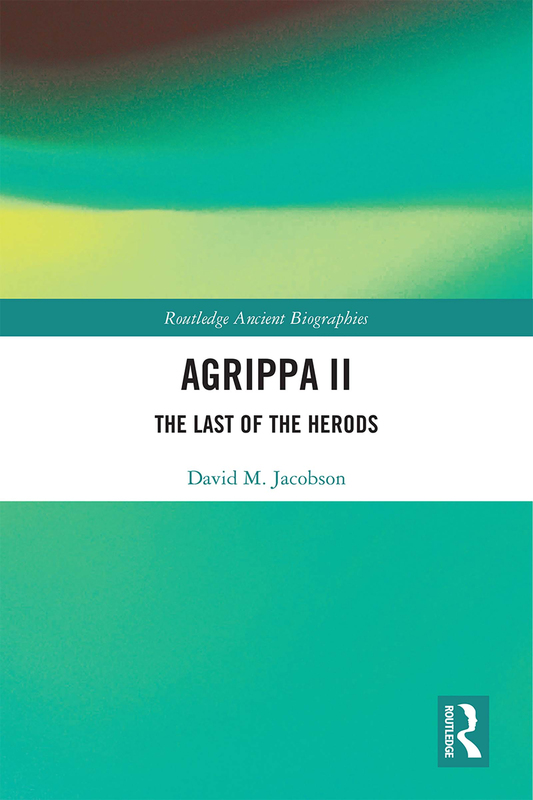 Agrippa II is the first comprehensive biography of the last descendant of Herod the Great to rule as a client king of Rome. Agrippa was the last king to assume responsibility for the management of the Temple in Jerusalem, and he ultimately saw its destruction in the Judaean-Roman War. This study documents his life from a childhood spent at the Imperial court in Rome and rise to the position of client king of Rome under Claudius and Nero. It examines his role in the War during which he sided with Rome, and offers fresh insights into his failure to intervene to prevent the destruction of Jerusalem and its Sanctuary, as well as Agrippa’s encounter with nascent Christianity through his famous interview with the Apostle Paul. Also addressed is the vexed question of the obscurity into which Agrippa II has fallen, in sharp contrast with his sister Berenice, whose intimate relationship with Titus, the heir to the Roman throne, has fired the imagination of writers through the ages. This study also includes appendices surveying the coins issued in the name of Agrippa II and the inscriptions from his reign. This volume will appeal to anyone studying Judaean-Roman relations and the Judaean-Roman War, as well as those working more broadly on Roman client kingship, and Rome’s eastern provinces. It covers topics that continue to attract general interest as well as stirring current scholarly debate. David Jacobson is Visiting Research Fellow in the Department of Classics at King’s College London, UK, where he also gained his PhD for a thesis entitled The Place of Herod’s Temple in the Architecture of the Augustan Age. He has published extensively on the history, art, architecture and numismatics of Judaea in the Hellenistic and early Roman Imperial periods, including The Hellenistic Paintings of Marisa (2007), Distant Views of the Holy Land (with Felicity Cobbing) and Antioch and Jerusalem: the Seleucids and Maccabees in Coins (both in 2015).